CONYERS, Ga. – A veteran is fighting to keep an American flag flying in front of his home. Retired Army veteran Tony Cumberworth, 73, says the flag has been posted in his yard for 20 years. 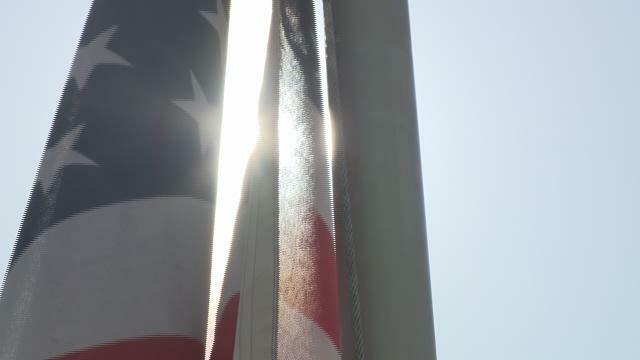 However, this week, he received a notice from his homeowner's association telling him he had four days to remove the flag and pole or he's be fined $50 a day. "I fought for this country, my son fought for this country -- I do not understand them trying to take away my rights," Cumberworth said. Cumberworth combed the bylaws and the covenant and said he didn't find anything about flying a flag. ATLANTA -- Piedmont Heart Institute has formed an alliance with the Sydell and Arnold Miller Family Heart & Vascular Institute at the renowned Cleveland Clinic. The partnership will allow both organizations to raise their standards of cardiovascular care by sharing clinical policies, treatment protocols and research opportunities, according to a Piedmont Healthcare spokesperson. "Teamwork is the next phase of American medicine. We're finding new ways to combine our strengths for better patient care," Sydell and Arnold Miller Family Heart & Vascular Institute chairman Dr. Lars Svensson said in a release. "This alliance will allow us to accelerate advancements in cardiac care." Piedmont Heart operates 26 clinics across metro Atlanta. Visit piedmont.org for more information.